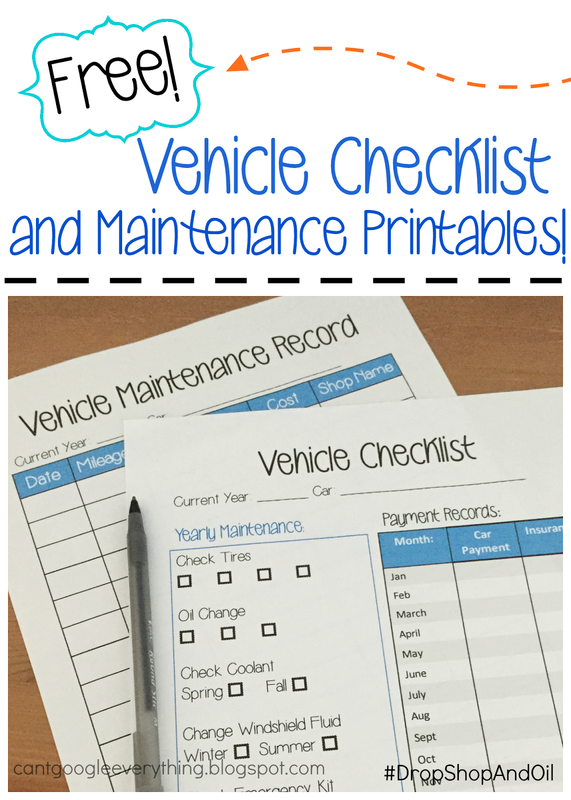 Vehicle Checklist Printable- Keep your car in check with Pennzoil! 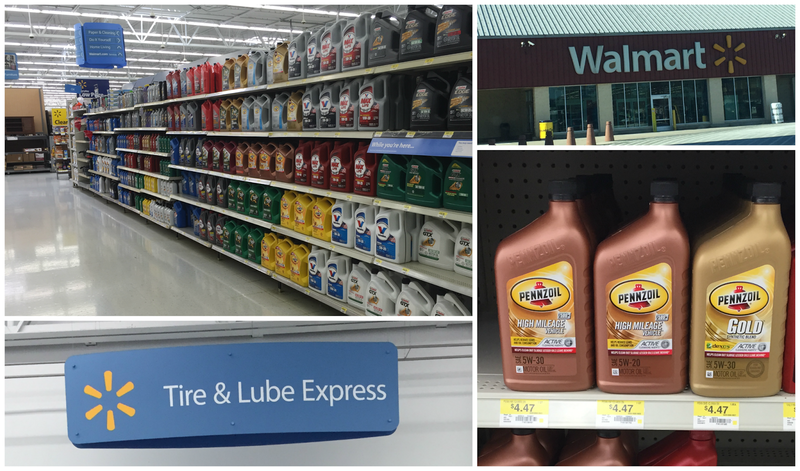 I recently had my oil changed at Walmart which was super convenient, not to mention quick! After dropping my car off I was able to walk around the store to pick up a few things I needed, which helped me save time on my errands since I wasn’t just sitting around looking at my phone while I waited in the waiting area! 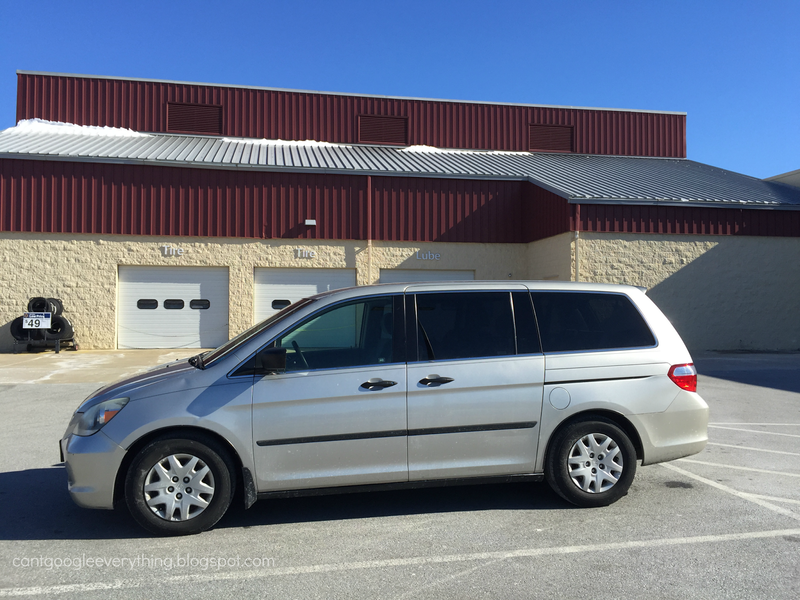 After I bought my few items (frozen blueberries, poster board and shaving cream) I headed back to the Tire & Lube Express area and was pleasantly surprised when they said my car was ready already! 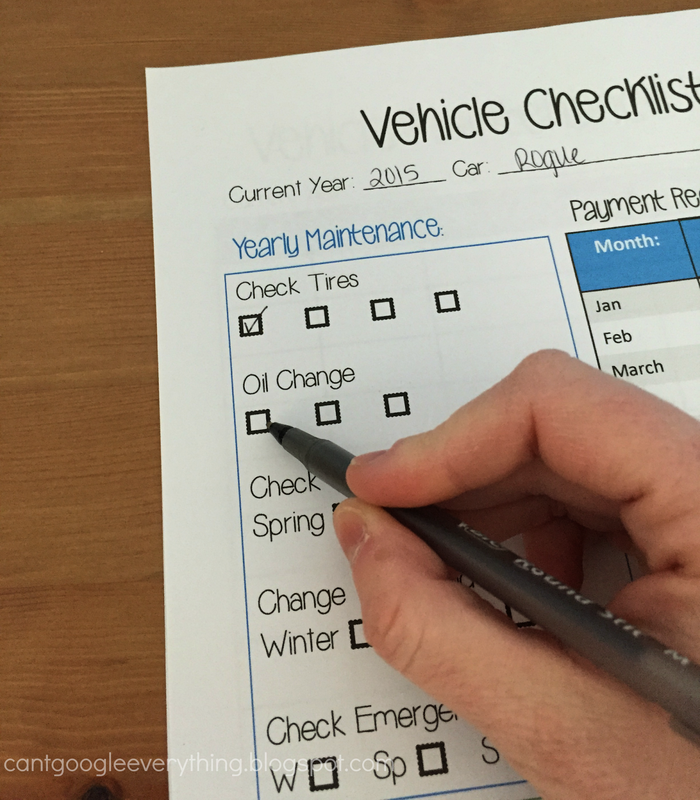 Having your oil changed is one of the most important items on your car’s maintenance list! I had my oil changed using Pennzoil High Mileage Vehicle oil for my older car. Pennzoil is designed for complete protection of your engine and helps clean out sludge and protect from friction. It’s also nice to know that they offer a free warranty that covers 15 engine parts that may fail due to engine wear or which experience abnormal wear due to friction. After my oil change I thought it might be nice to have a place to keep track of all my yearly maintenance and records for my family’s cars. My husband helped me brainstorm what would be needed and I came up with a fun printable to use to keep track! 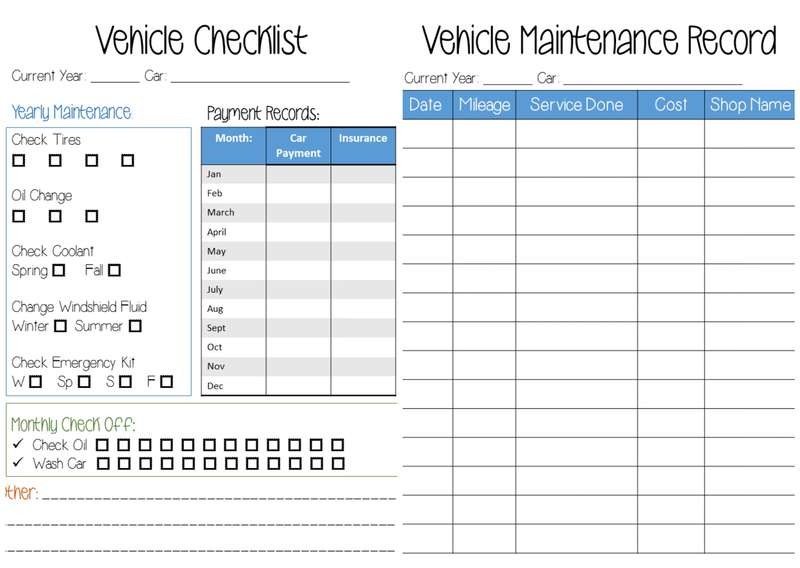 You can snag the printable and use it in your household or family binder to keep track of your cars’ upkeep and maintenance records. 1. Check Tires- You should check your tire tread for wear and check the pressure often. To check the tire tread for wear you can use a quarter! Simply park your car in a flat location and stick the quarter into the grooves of your tire in several spots. If Washington’s head is not covered at all, your tires are very worn down and you should get them looked at and probably replaced. If Washington’s head is partially covered then you tire tread isn’t too worn. You should do this several times per year, especially in areas with a lot of rain or snow. 2. Check Coolant- Coolant runs around your engine and through the radiator to keep the engine cool enough so your car doesn’t overheat. Coolant is also called anti-freeze. You can easily check your coolant levels by looking at the coolant reservoir! It should be filled to the marking, and if it is not you can add more by adding a mix of coolant and water, or premixed coolant (check the label). FYI: Do not add coolant to your car when the engine is on or if it is still hot. Wait for your engine to cool down before adding coolant or touching anything! When in doubt, just ask your shop to check it when you get your oil changed. Check this in spring and fall. 3. Check Windshield Washer Fluid- Washer fluid is usually blue or almost clear. Some people even use water, but this is not advisable if you live in an area that gets freezer temperatures! It’s super easy to check and refill your washer fluid yourself. Just look at the reservoir and add more as needed, your car may even tell you when it’s low. Be sure to add “all season” or “de-icer” types of washer fluid to your reservoir so it doesn’t freeze to your windshield in the winter! Check this before winter and then again in the summer, or if you know it’s low just add more! 4. Emergency Kit- Do you have an emergency kit in your car? It’s a great thing to have, just in case. Check it once each season to make sure you have the items you might need for various emergencies related to that season. For example, in the summer I throw a few bottles of extra water in my kit. At all times you should have: a first aid kit, jumper cables and tools to change a flat tire. In the winter be sure to throw in an ice scraper and a blanket in case you get stuck. I also have a “kid kit” in my trunk for emergencies! 5. Monthly Items- For the monthly checkoff I have check your oil and wash your car. You may not need to do each of these monthly, depending on where you live and how many miles you drive. But, you should wash your car often to keep the paint nice and free from anything that can scratch it, which could lead to rust. If you’re driving in areas where it snows or near the beach you should definitely wash your car at least once per month! And don’t forget to keep the undercarriage clean, too. It’s also a good idea to check your oil levels to make sure they aren’t too low. It’s easy to do this once per month, just pop the hood open when you fill up on gas! These timelines are just guidelines and my suggestions. Be sure to check your car’s manual for more specifics about how often to change your oil, what your tire pressure should be and other maintenance items. Pennzoil is also running a fun giveaway! 3 lucky winners will each win a trip to one of the Richard Petty Driving Experiences (each trip valued at $1,100). That means they get to climb into a NASCAR car for an adrenaline-pumping experience that simulates real NASCAR driving. Thanks for checking out my printable! I added an “other” spot so you can add reminders and items relevant to your car! I’d love to hear how you will use this printable in your home! This is SO helpful. I am the worst about remembering to get oil changes. I'm going to add these pages to my home management binder! Fantastic, thanks for sharing! I can never remember when I did what to the car, these will be super helpful. What a great checklist. I love that Walmart oil changes are so quick and convenient!